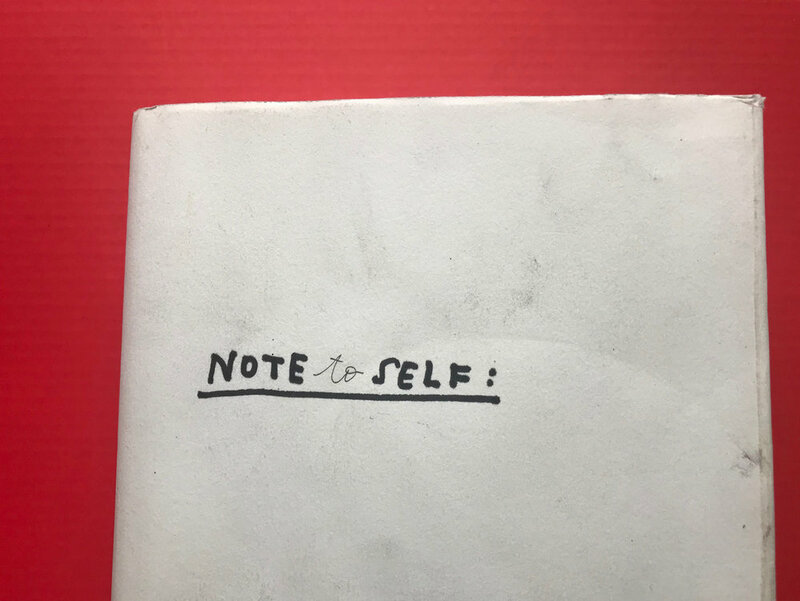 Notes to Self are drawn in this book. And sometimes drawn off-site and transported by hand and fixed into the book under strong glue. Some are just loose inside the book and may never be affixed and may get lost in my flat. Sometimes a lot of thought is put into the drawing, and other times virtually none. Just like real thoughts. Looking through them, I can't tell which are which. Coming soon to Notes to Self.